Singapore is as much a culinary paradise with an enviable food heritage and a rich diversity of cuisines from around the world. Not sure where to start dining when you’re visiting? 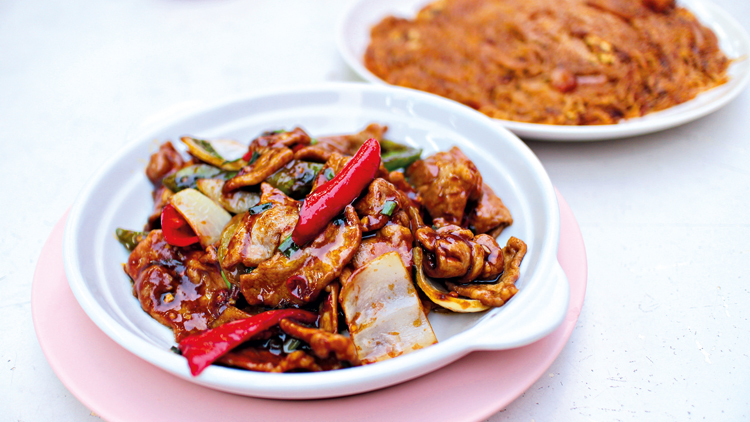 Here’s how to eat your way through an entire day in Singapore, from dawn to dusk. READ The best French, Italian, Japanese and Spanish restaurants in Singapore. Start your day at this quaint shophouse in Singapore’s colourful Katong district. 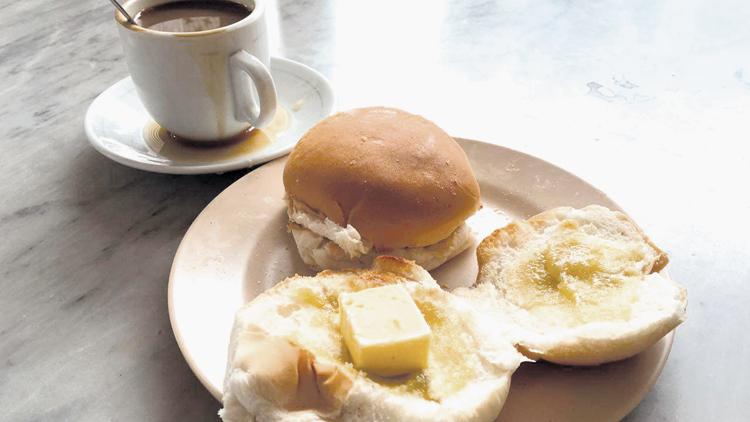 Chin Mee Chin has been a breakfast institution for generations. 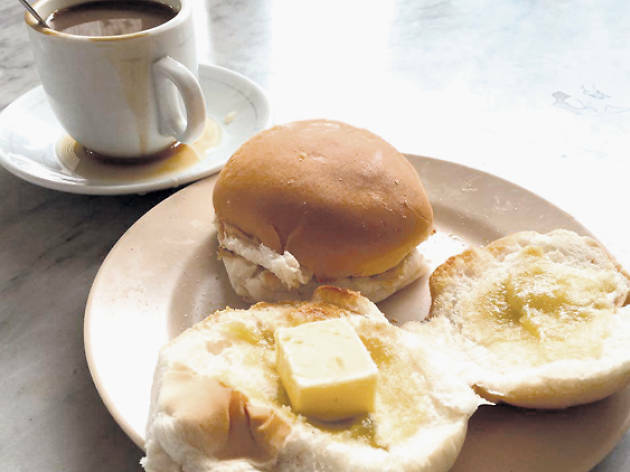 The interior has barely changed over the years and little has changed in the kitchen either: they’re still toasting coconut jam buns over a charcoal fire and using a sock to pull coffee the traditional Singaporean way. Trays of delicious, freshly baked cupcakes emerge from the kitchen every 15 minutes or so. If you ever see a batch of the chocolate ones, grab some before they’re all snapped up by bulk orders. 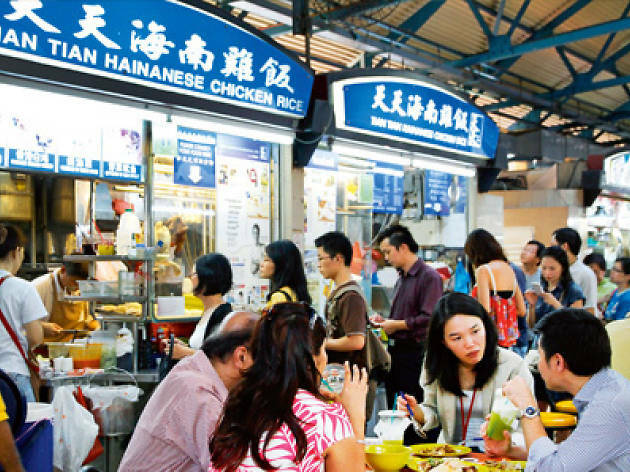 Hawker centres are a smorgasbord of the best local eats all in one place. 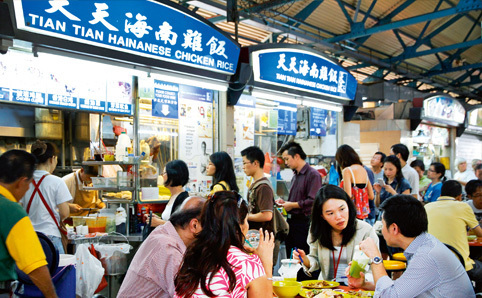 Want a plate of Singapore’s famed chicken rice? Hit up Tian Tian Hainanese Chicken Rice for a plate of fragrant garlic rice topped with succulent chicken meat. Don’t forget to drizzle on some dark soy, punchy chilli and ginger sauce to complete the experience. Beyond its most famous stall, Maxwell also offers other options like queue- worthy doughy fritters that you have a hand in frying (Stall 28), sweet peanut soup (Stall 57) and sliced fish noodles served in a milky stock (Stall 77) that you’re sure to finish. Gorgeously appointed with champagne-hued tapestries and intricate bronze balconies, Atlas is a magnificently grand art deco-inspired bar. Ease your afternoon hunger pains with luxurious treats like a crab croquette, croque-monsieur and other tea-time staples such as madeleines, canelés, and scones served with clotted cream and homemade strawberry and rose jam. Pair it with your favourite tea or try the special Art Deco Blend, a black tea that incorporates gin botanicals, elderflower and yuzu. 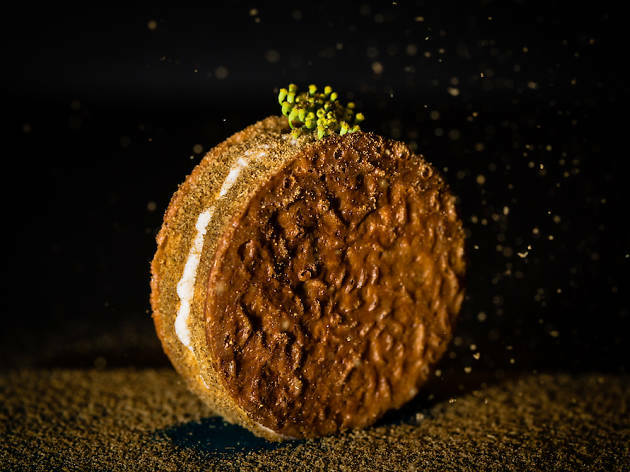 Singapore has plenty of Michelin-starred establishments but if you’re looking for something new and exciting, head to Nouri. 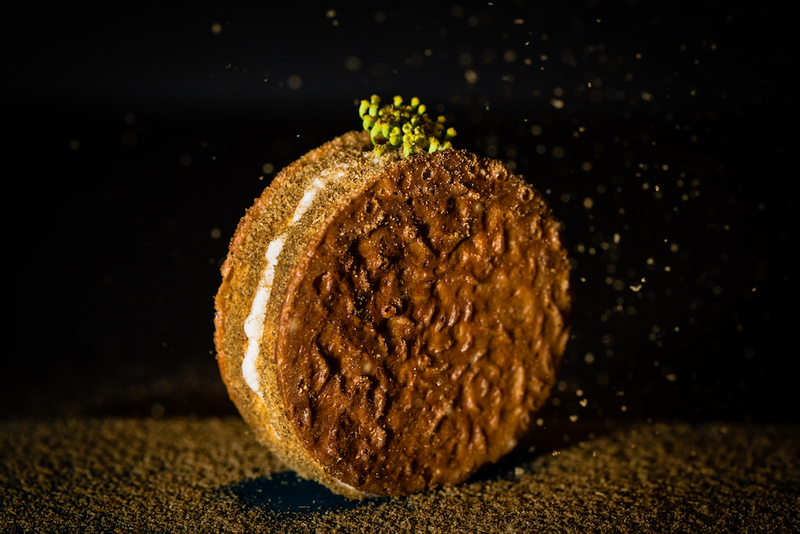 Opened last year by chef Ivan Brehm, former head chef of the Michelin-starred Bacchanalia and once a chef at Heston Blumenthal’s The Fat Duck, the restaurant serves truly innovative, boundary-blurring dishes. Case in point: Nouri’s signature dish, the acarajé and vatapá, is a nod to Brehm’s Brazilian heritage that also recalls Indian, Thai and Singaporean influences. 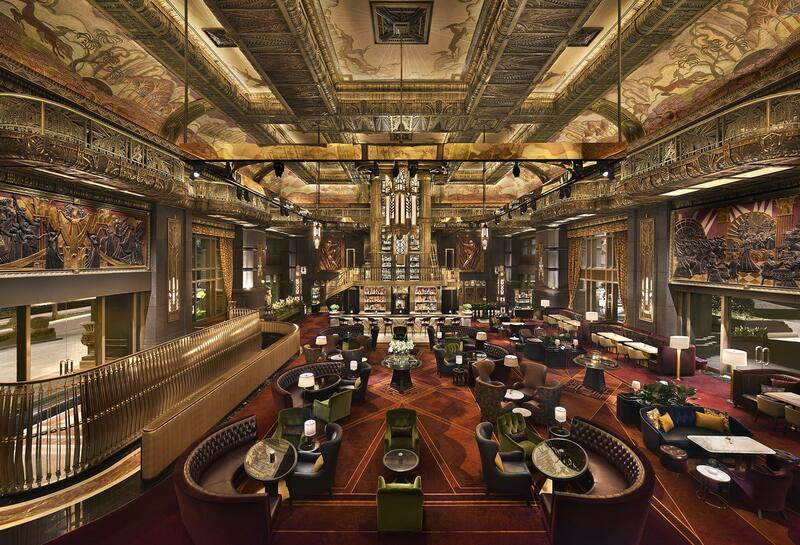 Go during dinner for the complete seven-course chef ’s tasting menu. You’ll leave full, educated and amazed. Now’s a good time to give your stomach a break. 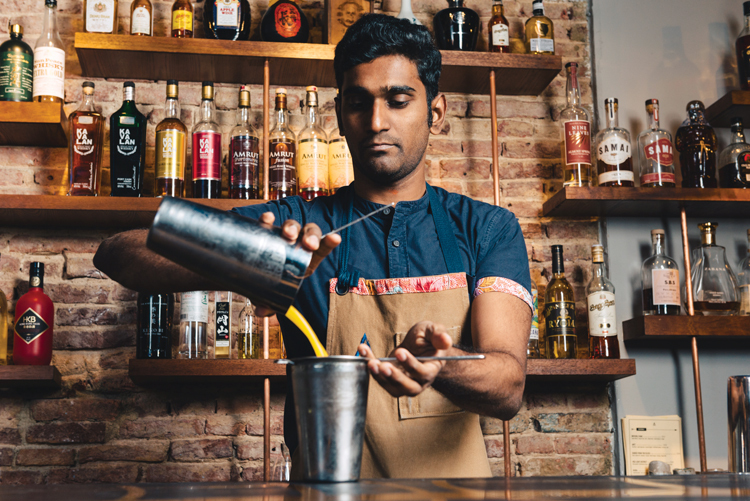 Right across the road from Nouri is Native, a cocktail bar that’s as creative as it is crazy. 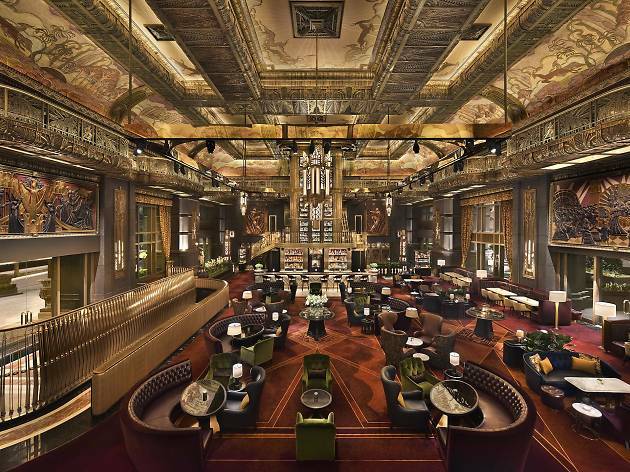 Famous for serving insects in its drinks, the bar highlights the best of Southeast Asia with rums from Phuket, whiskies from India and house-distilled gins all on the menu. 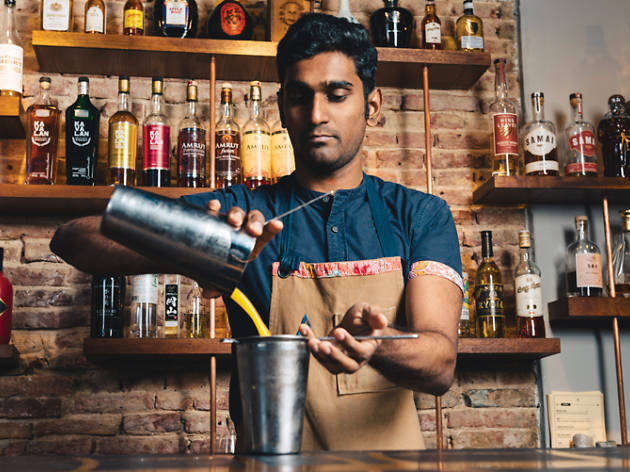 Head bartender and owner Vijay Mudaliar, a champion of sustainability, also deploys foraged ingredients to add extra pep and zing to his creations. Wrap things up with the pancake-esque seafood noodle dish that is the perpetually popular JB’s star attraction. Charred and crisp on the outside, soft on the inside, each strand of rice vermicelli is coated with a smoky wok hei. 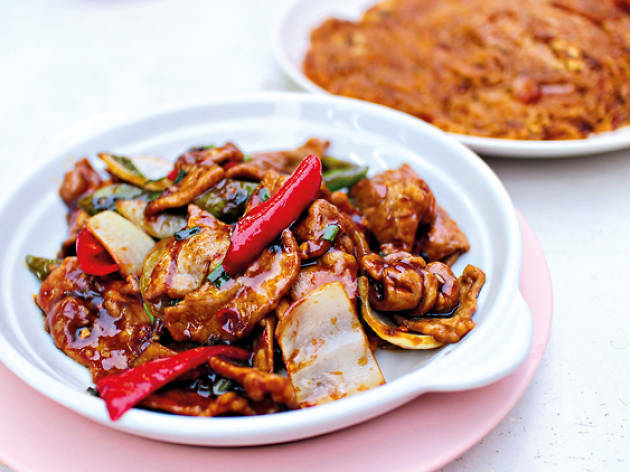 JB Ah Meng also does a killer rendition of white pepper crab – the dish is just mildly spicy, allowing the natural sweetness of the crustacean to shine. Perfect drunk food, if you ask us.